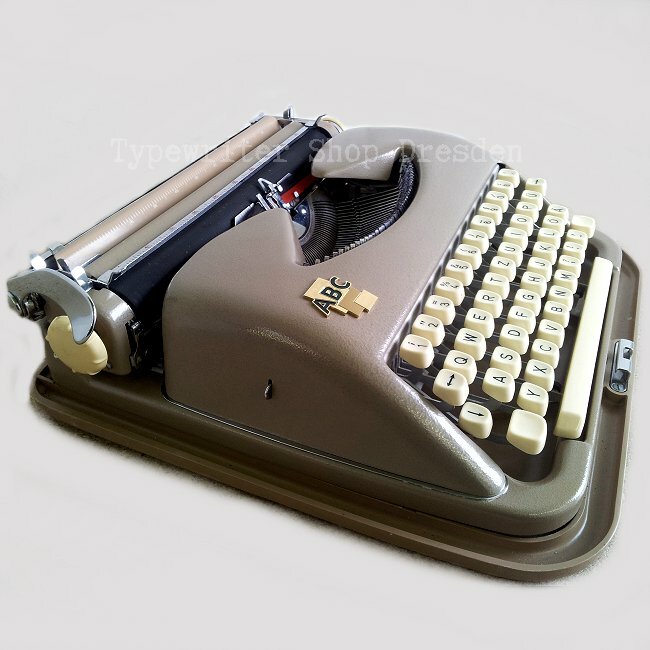 Wow, how cool is that machine? 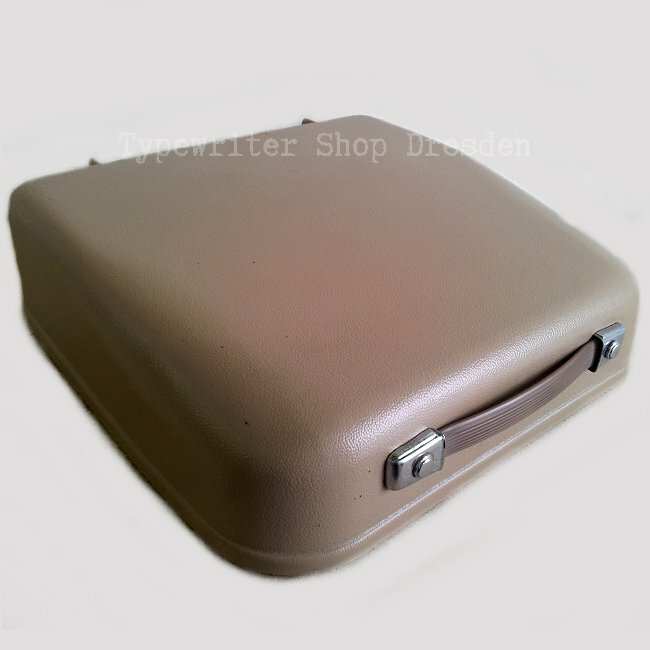 It has a nicely light brown textured finish with invory-colored bakelite Keys. 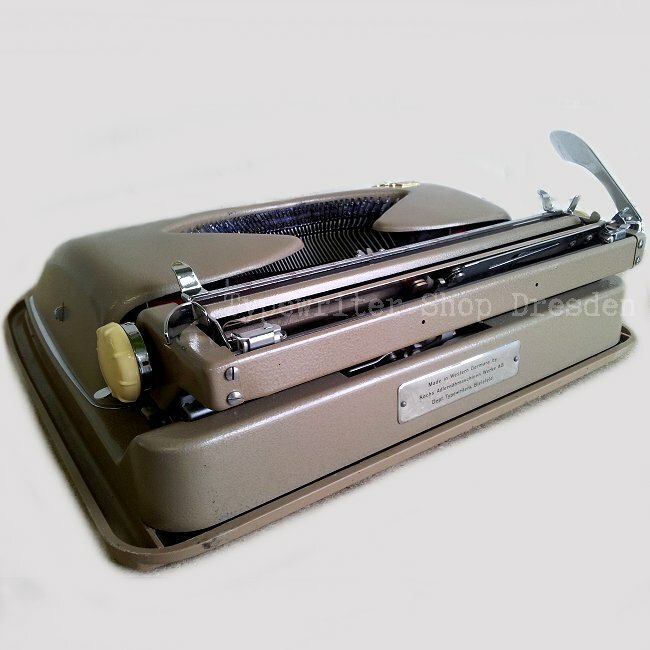 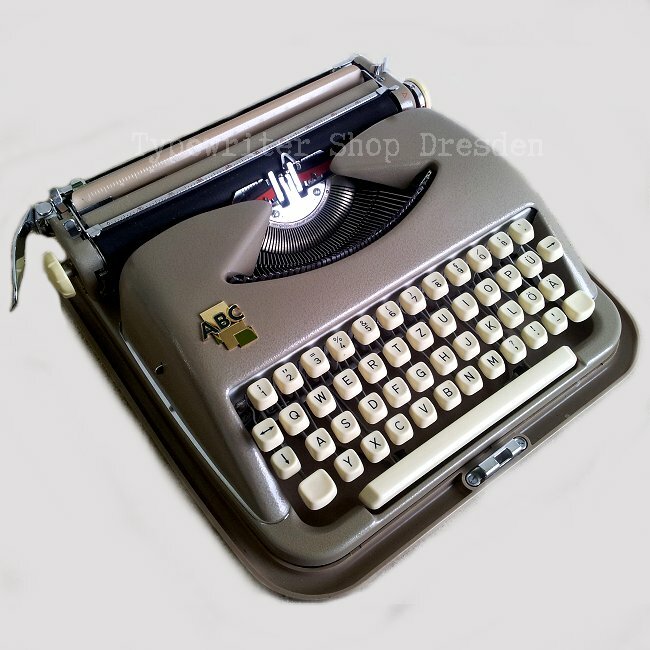 This rare vintage typewriter is in excellent functional and near mint condition. 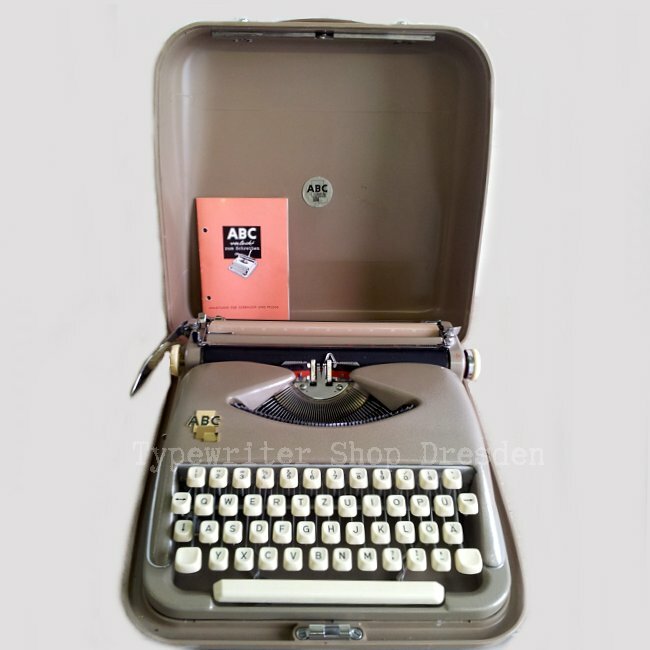 A hardtop plastic case and the original manual is included, but the case has normal less minor wear. 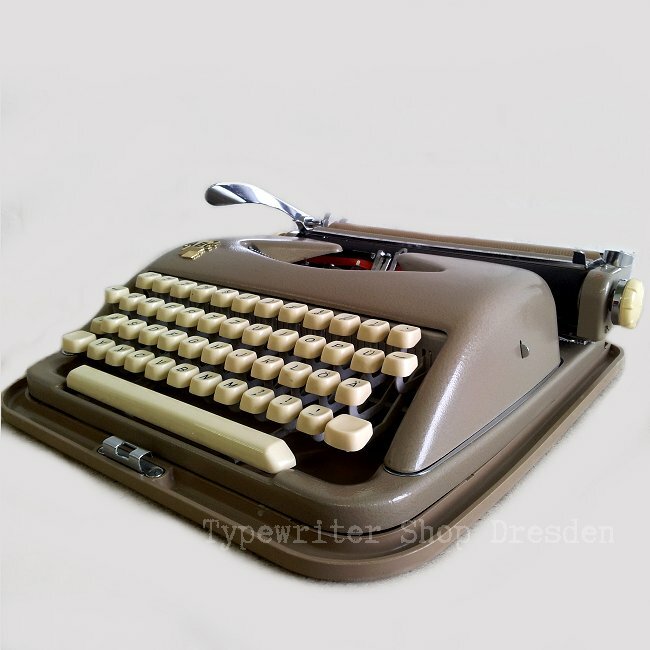 Built by Koch Adlerwerke Bielefeld in Westgermany, designed by the pioneer Prof. Wilhelm Wagenfeld.